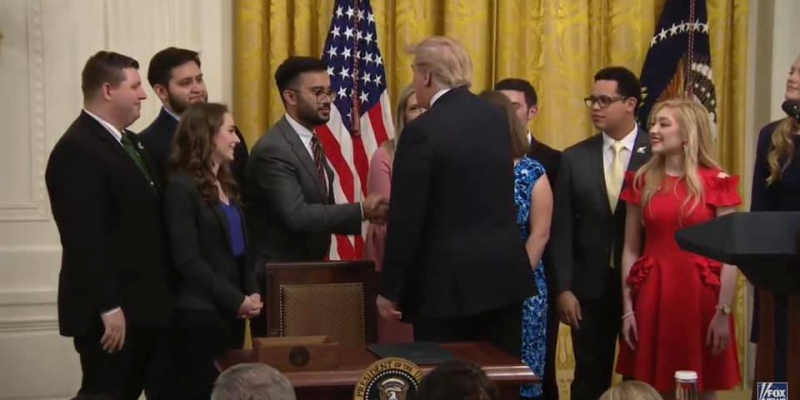 Saurabh Sharma, president of the Young Conservatives of Texas, was surprised this week by an invitation to visit the White House to attend the signing of an executive order by President Donald Trump. Anyone who knows anything about the Young Conservatives of Texas (YCT) knows that the group isn’t afraid of confrontation. 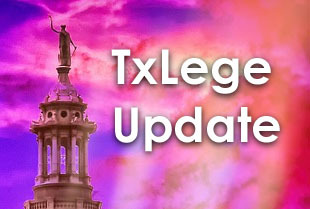 From their infamous “Catch an Illegal Immigrant” game to eye-opening protests such as the Affirmative Action Bake Sale (prices adjusted by the customer’s stated race), campus chapters have often been faced with disciplinary action and stern warnings from university and college officials. Sharma and other campus activists flanked the President on Thursday as the President decried the “billions and billions of dollars” spent on higher ed, only to have these voices silenced or unprotected in the face of mob violence. “Taxpayer dollars should not subsidize anti-First Amendment institutions,” Trump said, among some bolder statements about the nature of public universities. Trump referenced silencing orders, expulsions, mandatory “trigger warnings,” and even punches to the face that student activists often endure for daring to take a stance contrary to the viewpoints of academic leaders. Trump’s order appears to reinforce existing law which (theoretically) protect free speech at public higher education institutions. The order bars research grant funding to universities which do not promote “free inquiry, transparency, and accountability,” though it is unclear how that will be carried out. The order also had some provisions regarding the reporting of student loan debt and graduation statistics. Meanwhile back in Texas, campus activists such as Sharma may be getting some assistance, as the Texas Senate passed SB 18 by Sen. Joan Huffman, which would require universities to create more clearly worded free speech policies. During debate on this bill, Republican Sen. Paul Bettencourt recalled YCT members having a pro-Justice Brett Kavanaugh event shut down by angry protesters with no protection offered by the University of Texas. Rep. Briscoe Cain has filed a companion bill (HB 2100) with some stronger language, though Rep. Charlie Geren is expected to sponsor Huffman’s SB 18. YCT State board Chairman and Young Conservatives of Texas at the University of Texas Chairman Saurabh Sharma testifying in favor of SB 18 regarding campus free speech. From the hip: Trump’s order may be somewhat vague in terms of how it intends to enforce campus free speech, but the publicity is a boost to state-per-state efforts to order public colleges and universities to draft clearer speech policies. Texas has become a hotbed for campus free speech over the past decade or two, and the President’s order is a major encouragement toward Texas-based efforts to defend academic freedom.